Millennials watch a lot of video content online, but does that content engender the same emotional connections as TV? 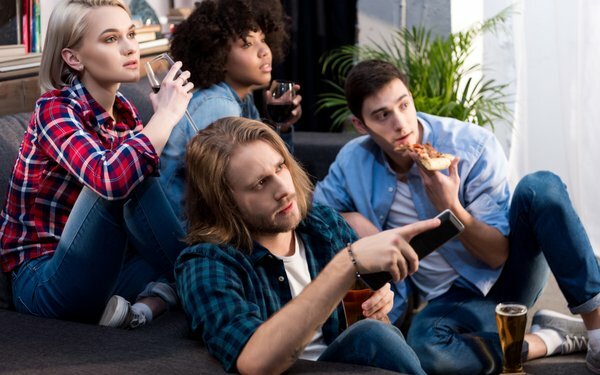 A new study from the Video Advertising Bureau suggests TV is still king when it comes to forging emotional connections among millennial viewers. The VAB study found that while 40% of millennials surveyed watch their favorite TV programming live, only 29% make an effort to watch their favorite YouTube shows on the same day they are posted. The VAB defined YouTube originals as shows produced by established personalities and only available on YouTube. The survey also attempted to quantify the emotional connections caused by content. It found that when it came to causing viewers to “laugh out loud,” “get angry or upset,” or have “cried,” more millennial respondents said TV programming caused those emotional responses than YouTube shows. The area where YouTube shines is in its engagement. The VAB report found that YouTube remains a popular place for millennials to watch content from TV shows, and to comment or post about those shows. Similarly, the respondents said they make an effort to watch every episode of their favorite TV show and their favorite YouTube show in almost equal numbers.